Remodeling your kitchen can add value to your home! 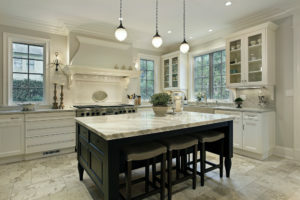 Let us assist you in creating your dream kitchen. Contact us today! If you’re interested in a kitchen remodel project for your home, turn to the experts here at Southern Maryland Pristine Kitchen Design. We have the ultimate design capabilities, high quality products, and the best installation experience to create more functional, modernized, and aesthetically pleasing kitchens for homeowners. Our mission is to deliver superior customer service and use only the highest quality materials during each and every project that we complete. We will make your dream kitchen your new reality. We love working with our clients to achieve their personal style preference. We work with all home styles and our designers will tastefully create the perfect combination of any look to add to the beauty of your home. Along with finding your dream kitchen style, we enjoy matching the finishing touches with our clients. Such as, countertops, appliances, and fixtures. We will provide only the best options to choose from with the highest quality. Our Designers Are Ready To Create Your Dream Kitchen Today! Investing in a kitchen remodeling project is an excellent way to enhance the overall value of your home, and when done the right away, it can give you the beautiful and functional kitchen you’ve always dreamed of having. The best and most efficient way to know that your kitchen will reach its maximum potential is by hiring a reputable design team like us, Southern Maryland Pristine Kitchen Design. As a remodeling and renovation company we work hard to give our customers the kitchen their home deserves. Our team of designers are here to help you plan and budget, we will work with you in every step of the way to make sure you get the kitchen you have been wanting. Fill out our contact form to start planning your renovation project today!